Ronny L. Jackson, a Navy rear admiral whom President Trump unsuccessfully nominated to lead the Department of Veterans Affairs, will not return to his previous role as the president’s personal physician, a White House official said Sunday. Jackson, who withdraw as Trump’s VA pick last week, will remain on as part of the White House medical unit, the official added. 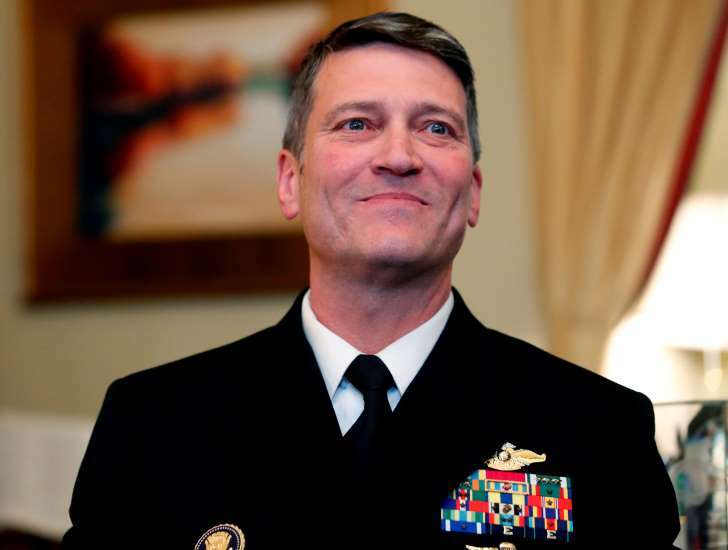 Sean Conley, a Navy veteran who took over Jackson’s responsibilities after his nomination, will remain in the role as Trump’s personal doctor. Jackson, a former combat physician who faced criticism almost immediately that he was not qualified to oversee VA, withdrew his nomination Thursday, after the office of Sen. Jon Tester (D-Mont.) released allegations against Jackson that he drank on the job, overprescribed medication and presided over a toxic work environment. Jackson has denied the allegations against him, which have proved difficult to verify or disprove. Tester’s staff has yet to release documentation supporting the accusations, and a Secret Service statement on Friday said the agency had found to evidence to support one of the specific allegations. Tester is facing a tough Senate reelection campaign ahead of November’s midterms, and the president made clear that he hopes to use the Jackson incident against Tester in the race.